Your Branson vacation has been anything but tame, and now you’re ready for it to get really wild. 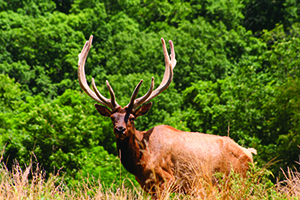 Fortunately, there are several Branson sights where animals of all kinds — from the king of the jungle to trained housecats — can make that happen. Here’s a look at four places to see, interact and be wowed by live animals on your next Branson getaway. Amazing Pets – This popular show at Grand Country features some of the most talented four-legged performers you’ll find anywhere. Although dogs and cats get the bulk of attention at this show, feathered performers also get some time in the spotlight. Promised Land Zoo – Enjoy a walking tour through this nine-acre park, where animals such as antelope, kangaroos and lemurs are found. Be sure to pay special attention to the big cats (lion and tiger); you might even get to bottle feed a zebra or camel. Branson’s Wild World – Animals at this attraction range from snuggly little rabbits to not-so-snuggly saltwater crocodiles. In between you might encounter anything from macaws and parrots to frogs and lizards, plus some really squirmy spiders and scorpions. But the Wolf Woods is one of the signature attractions, featuring British Colombia wolf pups. Remember, it’s easy to have wild fun in Branson … and these attractions know just how to serve it up.